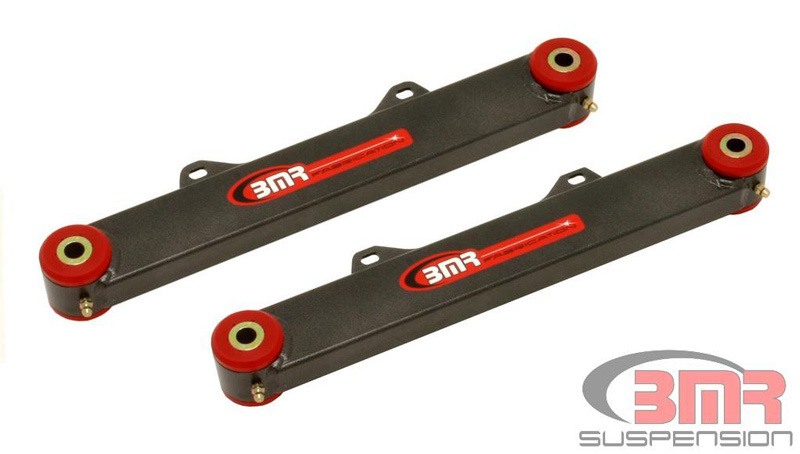 Increase camber adjustability, reduce suspension deflection, and add rear cornering stability with Lower Control Arms from BMR Suspension. These control arms are fully TIG-welded and constructed from heavy-duty 2-inch square tubing and internally-gusseted, laser-cut mounting plates. 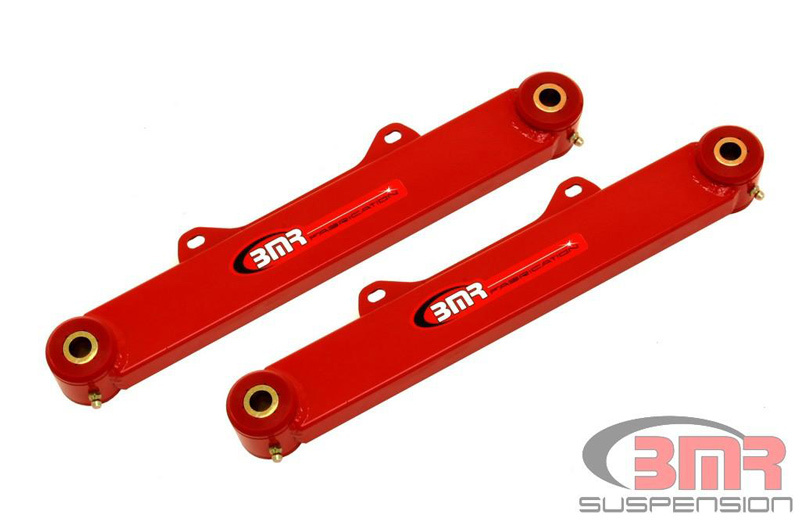 The newly redesigned BMR Lower Control Arms (TCA028) feature high-durometer polyurethane bushings, multiple reinforced sway bar mounts (making them compatible with2010-2011 FE3 and 2012-2014 Camaro FE4 suspension2), and a shortened overall length to correct camber on lowered vehicles. The toe rod is responsible for maintaining toe settings of the the rear wheels similar to tie rod ends on the front end. This ensures that the wheels remain set to a fixed position, not erratically pointing inward or outward under loading. The factory rods are made from flimsy stamped steel and use soft rubber bushings at the mounting points. Under load, deflection can cause poor launch stability, inconsistent handling and decreased braking ability. our spiral fluted, low deflection polyurethane bushings. Quick and easy install with no decrease in ride quality.